Professor Giles-Corti is the Urban Futures Enabling Capability Platform Director at RMIT University, and an Honorary Professorial Fellow of the University of Melbourne. For two decades, she and a multidisciplinary team of researchers and postgraduate research students have been studying the impact of the built environment on social and health and wellbeing outcomes. 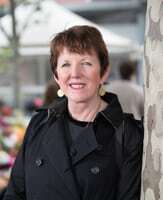 A leading public health researcher in Australia who is recognised internationally for her research, Professor Giles-Corti has published over 300 articles and reports and for the last three years has been named as a Thomson Reuters Highly Cited Researcher (ranking her in the top 1% in the social sciences field). 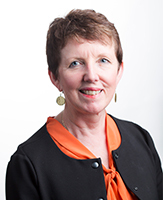 She is an NHMRC Senior Principal Research Fellow, an Honorary Fellow of both the Planning Institute of Australia and the Public Health Association, and in 2008 was a Fulbright Senior Scholar. She works on research projects across Australia as well as in Canada and the UK, including an evaluation of the impact of relocating low-income families into social and affordable housing in the athletes’ village as part of the London Olympic Legacy. Please describe your role: I’m Director of the McCaughey VicHealth Community Wellbeing Unit at the University of Melbourne and Lead Investigator of the NHMRC Centre for Research Excellence in Healthy Liveable Communities*. I’m leading the Prevention Centre’s National Liveability Study, which is developing national liveability indicators for chronic disease risk factors and health outcomes. The best part of my role is … feeling like my research is making a difference, and the fact that our work is resonating with multiple sectors, multiple levels of government and non-government organisations – it is exciting. The most challenging part is … being a soft-funded centre with no ongoing appointments, I am constantly looking for funding. It’s exhausting (and tedious). I’m interested in the work of the Prevention Centre because … the focus is trying to change the prevention system. All of our work is focused on changing the policies and practices of sectors outside of health. It’s all about system change, so there is great alignment between our work and that of the Prevention Centre. At work I am always learning that … the more we can align our research with policy, the more it resonates with policy makers and practitioners. It’s easy to criticise what’s wrong with the system – the challenge I set my team is working out how to improve evidence-based urban policy. It’s not easy. Before my current position, my most memorable role was … working at University of WA where I had many exciting opportunities: evaluating the impact of the WA Health Promotion Foundation; successful abortion law reform as President of the WA Branch of Public Health Association of Australia; establishing University of WA’s campus in Albany; and Foundation Director of UWA’s Centre for the Built Environment and Health. All the roles were fascinating, fun and (I felt) important. Most people don’t know that I … left school when I was 15, and went back to study when I was 24. My favourite holiday is … skiing with friends in the Dolomites. I’m not a great skier, but I really love it. I would most like to live … in London. I always regret leaving. I try to stay healthy by … walking, swimming and/or going to the gym on most weekdays; and cycling with my mates on the weekend when I can. * Professor Giles-Corti is now the Urban Futures Enabling Capability Platform Director at RMIT University, and an Honorary Professorial Fellow of the University of Melbourne.